So what other things do people need to consider when schooling a singleton. 4. teaching how to sharing/differences. which leads me to today. What else might one want to consider when homeschooling a singleton. here we had success. Did you lad that if you put plastic down it will hold water? It will Mom? OH... I can use that to make a swimming pool for the minions. 1. cost of curriculum. Curriculum isn't cheap. I can't reuse it with another child. I can't try one thing, then switch to another knowing that I might be able to use the first thing that didn't work with THIS child with another child. So I need to focus on knowing my child and getting materials what will work for him. Part of how I deal with that is I review materials for TOS and elsewhere. This gives me the opportunity to review materials and see what works for my son before going out to purchase something costing $100 or more. I also do free things - a free education is the way to go in my book. If you notice I maintain a large list of freebies. They aren't organized in a great manner and I want to change how I've done things, I just don't know HOW right now and it's just too much work to do at the moment. 2. chores: who does 'em? You can't expect a single child to do all the chores. So we have tasks that he is responsible for: feeding the cats, putting away cups and silverware and other such things. He's an easy helpful child so it's not hard to get him to complete various tasks. 3. how to "spur one another on". Having siblings or other children being schooled with you can help "spur one another one"...whether it's the "can I do it better than" or "how can I help".....a singleton doesn't have that built in rivalry. 4. Self-sufficiency. My lad is often encouraged to figure things out, learning to ask for help or to accept outside help is a challenge for him. SHSHT is often heard here as he struggles to figure out how to do it himself, and offering to help is met with outbursts of anger as he's SO Focused on doing it himself that accepting assistance is hard for him. We'll continue to encourage the self-sufficiency AS we also teach him that asking for help or ideas is a good thing to do as well. I do not homeschool an only, but you make very valid points! I already know my preschooler is going to be a different type of learner than his older brother, so your point about curriculum is one I have to keep in the back of my mind too. So thankful for the Crew! 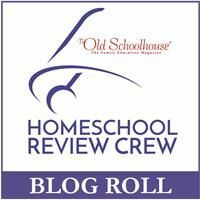 Thank you for this series on homeschooling a singleton. As the mother of more than one child, it is helpful to see the other side. Being an only child, I have so enjoyed reading your posts! Thanks for sharing! I'm an only teaching an only. I totally get that cost of curriculum thing. On the other hand I save money on field trips where I only have to pay for one child's admission.